Firstly. We can smell the Silicone Wristbands. General speaking, the fake Wristbands have a very pungent smell. 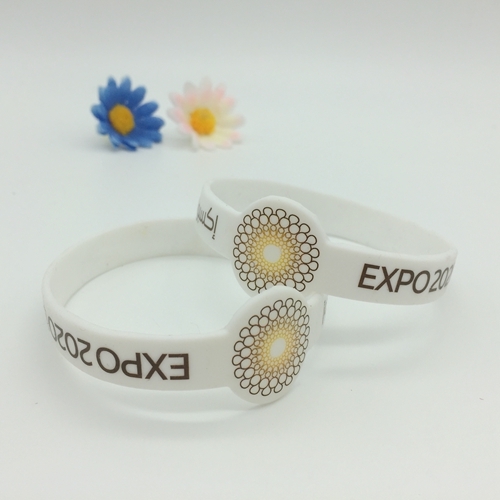 But wristbands in good quality have a natural silicone smell, and the color and shape of silicone bracelets won`t change by heat. Now, we can accept do Pantone color or follow client's sample color. Secondly. We can watch the silicone wristbands carefully. The good wristbands are clean. Nice cutting. No excess colloid on the edge of bracelets. No printing error. Thirdly. We can use an easy way to test the silicone bracelet materials. Silicone wristbands can be cut off a little bit with the fire. After burning, non silicone materials wristbands` edge is black, and black smoke with a stench. But really silicone wristbands, the burning edge is white, burning residue as powder. Silicone material is made of pure natural solid silicone rubber by oil pressing machine. 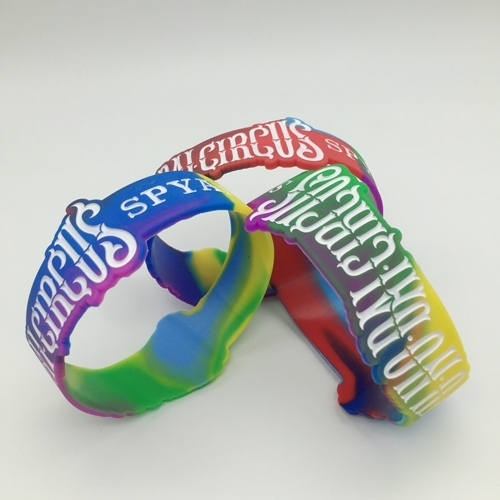 Silicone wristband is a kind of silicone gift, with a certain degree of tension and flexibility. Although easy to deformation, recovery soon. Wearing resistance, high temperature residence, no deformation, non-toxic tasteless, to human body without side effects and other features. They are soft, non cracking, long life and no irritation to skin and other advantages, which are the real green gifts.